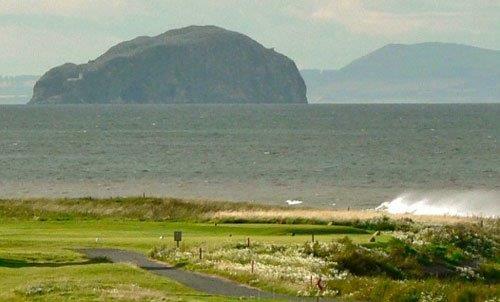 Dunbar Golf Club actively promotes youth golf and has a strong and vibrant Junior section. The Club has a long history of producing excellent golfers with European Tour Player David Drysdale and young professionals Neil Fenwick, Danny Kay and Alexander Culverwell (former Scottish Amateur Championship), a select few of a long list of names that have brought honour to the club since their junior days here. Through Dunbar’s Director of Golf and Head Professional, Jacky Montgomery, the club runs complementary coaching sessions throughout the year for its Junior members. A host of competitions and events are also provided for the Junior section along with team participation in East Lothian’s Junior Golf League. Our junior team are the current county cup holders! The Club plays an active role in promoting junior golf within the town and as such participates strongly in ClubGolf, a national programme designed to encourage youngsters (from age 9) from schools into the game. Dunbar has 12 volunteer coaches qualified to PGA standards who deliver the Club Golf Programme at level 1 and 2 to around 50-60 children from the Dunbar area. There are now around 20 of these children who have progressed on to level 3 and are now coached by our fully qualified Professional Staff. Anyone interested in ClubGolf can click on the following links for further information or can contact the Club on 01368 862317.